'Mediating Change' panels on culture and climate change now podcasts online. PDF of document available here. Wendell Berry : "It All Turns on Affection"
Emergence: the document! Downloadable document featuring 20 talks on sustainability and the arts. Government's draft air quality plan doesn't go far enough - Air pollution contributes to 40,000 premature deaths a year in the UK but progress on this issue has been glacially slow. After Nine Years and 2,810 Posts, a Dot Earth Farewell - After nine years and 2,810 posts, a blog seeking a sustainable path for humans on a finite planet comes to an end. Caspar Henderson’s The Book of Barely Imagined Beings. A 21st Century Bestiary came out this month, published by Granta. Here on Ashdenizen, Caspar contributed to our metaphors for sustainability with coral reef. And on the Ashden Directory, he was part of our panel on theatre and climate change in 2006. Robert Macfarlane calls The Book of Barely Imagined Beings a genre-bending grimoire, a spell-book of species. Anthony Davies in the Ham and High. The advance reviews are by Robert Macfarlane, Frans de Waal, Callum Roberts, Simon Critchley, Roman Krznaric and Richard Holloway. Real Monstrosities calls it 'fantastic!'. Caspar blogs at The Book of Barely Imagined Beings. During a decade when the United States was mired in two wrenching, costly, and divisive wars, the only combat drama to win a Tony Award as best play was a heartwarming, puppet-driven tale about a British lad and his beloved steed in World War I: War Horse... In fact, if you scan the list of plays, musicals, and performances nominated for Tonys in the past ten years, you'd barely know we were at war at all. Until recently, much the same could be said about plays on climate change. The Nigerian playwright and academic Greg Mbajiorgu got in touch with us after reading Robert Butler's blogs on Ashdenizen on the difficulties of writing plays about climate change. Greg sent us his play, Wake Up Everyone, which has a preface quoting from this blog. Wake Up Everyone began as a commission by the African Technology Policy Studies Network, Nairobi, Kenya for their international conference on climate change in Nigeria in 2009. That policy world is represented in the main character, Maukwe Aladinma, a retired professor of agriculture, now attempting to get the local government in the rural Ndoli area to build flood defences and advising communal farmers on using organic waste and planting stronger, non-GMO seeds. The professor, too, is a dramatist. In a play-within-a-play, the actors of his theatre company rehearse scenes describing the effects of climate change, those happening now and those anticipated: rivers dried, torrential floods, tornadoes, plagues, famines and poverty. The surrounding scenes are of a naturalistic theatre style; the rehearsals are a play to be performed as if in a dream or possessed. A local official, Chairperson of the Ndoli Local Government Area, Hon. Edwin Ochonkeya, blocks the building of the defences. When the threatened flood sweeps the land, the farmers become an angry mob, running off-stage to extract revenge on the official. Greg's writing is purposeful: to support impoverished farmers, to educate, to build resilience against the effects of climate change in rural Nigeria. The information on climate change is familiar enough, if uncomfortable. The role of the expert in presenting knowledge to farmers is familiar, too, the belief and disbelief, the sometimes awkward juncture of different kinds of experience, the social power implicit in different kinds of knowledge. And now, he is stopping any adaptation to or mediation of climate damage. In a single character, the play conveys the immediate, turbulent, deceptive forces underlying oil production in Nigeria and in Canada, Baku-Tbilisi, Iraq, the Arctic, a world not wholly expressed by the activists against it, working across political boundaries. It couldn't be more topical. Last week, in The Hague, four Nigerians and Friends of the Earth began a lawsuit against Royal Dutch Shell Plc for its environmental record in the Niger Delta, a case that may set a precedent for claims related to the activities of international corporations. And on Friday, Wake Up Everyone received a first Individual Award in Arts and Humanities Research at the 5th Nigerian Universities Research and Development Fair in Mina, Niger State. War Horse opened in Boston on October 10 for a two-week run. The traveling Broadway production, which originated at the National Theatre in London a few years ago, is getting all sorts of press. The day before the opening the main characters - the horse Joey, his owner and his puppeteer - went to the Animal Rescue League in Dedham, Massachusetts to have a play date with Celeste, a miniature horse who had been involved in an animal cruelty case earlier in the year. Joey is a well-traveled steed. He has also been to Windsor Castle where he apparently won over the heart of the Queen. The Handspring Puppet Company cofounders Adrian Kohler and Basil Jones, who designed the War Horse puppets, were featured in a long article about their puppets in the Boston Globe. editors' notes: On the Ashden Directory, Eleanor Margolies writes about Handspring and the power of puppets to enact human relations with animals. And Kellie writes about the opening of War Horse in London. 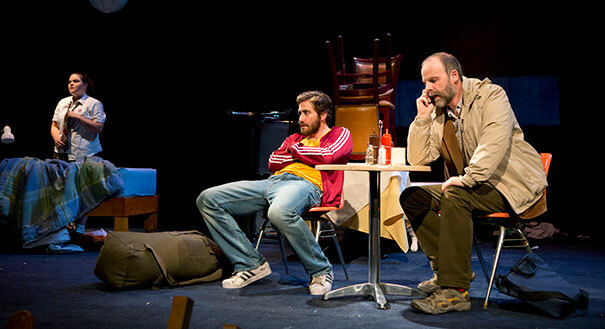 If There Is I Haven't Found it Yet, with Brian O'Byrne and Jake Gyllenhaal, opened in New York's Roundabout Theatre in September and runs through 25 November. 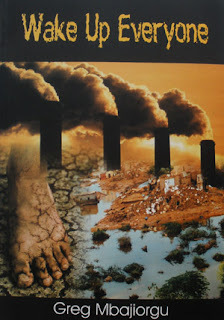 It was written by Nick Payne, and inspired by his reading of Heat by George Monbiot, about decreasing one's carbon footprint. Payne saw that many authors of environmentally-themed books had dedicated them to their children, and it gave him the idea of a father trying to save the planet in order to make the world a better place for his children, and beyond. But the father is so wrapped up in his work that he fails to notice the problems within his own family. The New York Times review is here. On one level, we are watching a domestic drama play about a mother, father, daughter, and uncle. But the play also takes on a much bigger global issue. We all want to do the right thing for both the world at large and for the world of our own family, but maybe that's impossible. After the Edinburgh Fringe, The Man Who Planted Trees is awarded for the sustainability in its production and its themes. The Book of Barely Imagined Beings by Caspar Henderson, and The Dark Mountain Project's third collection are published. High Tide Festival in Suffolk is looking for new plays. Outlandia in Glen Nevis is calling for artists' residencies. Sky Arts will fund a year's work about the future. Commissions are available for artists responding to themes of empathy, belonging and values. That Oceanic Feeling exhibition in Southampton culminates in a conference mingling the spaces of the sea with the landscapes of economics and politics. Dr Astrov is a new blog on ‘arts / culture and environmental sustainability’. Ian Rimington is the writer. He works as a Relationship Manager specialising in environmental sustainability and theatre at Arts Council England, but the blog expresses his personal views. In his opening blog, Ian visits the British Museum with his son, fascinated by the dominating sculptural figure of the Easter Island statue Hoa Hakananai’a (Hidden Friend). The Ancestor Cult that produced these figures gave way during a time of environmental devastation and extinctions to the Birdman Cult. On the back of the sculpture, marks have been added from that newer cult, more like graffiti than the monumental face. In the differences between these carvings, Ian finds evidence of the changing relations of art and culture to the environment. Another Pacific island features in a second blog, as Ian attends a read-through of Pitcairn, a new play by Richard Bean. The play tells of the events following the mutiny on the Bounty after Christian Fletcher and the sailors tried to set up a paradise republic there at the end of the 18th Century. This leads on to how the reason beloved of the Enlightenment falls short against the forces of values, beliefs and intuition, and to how art might produce behavioural changes. The blog is aptly named. Dr Astrov is the visionary physician-philosopher in Chekhov’s Uncle Vanya, who presciently grasped the principles of ecology and the ethical relations of humans to nature. His worry that the forests were disappearing forever, rivers drying up and the climate ruined was assuaged by his own planting of sapling birches. 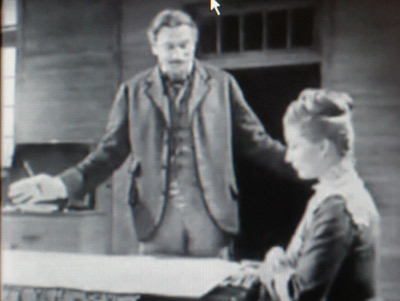 In Act III, he shows Elena, who neither understands nor is interested, his maps of the changes in the landscape, the losses of farms, animals, forests. “(Man) destroys everything with no thought for the morrow. And now pretty well everything has been destroyed, but so far nothing new has been put in its place”. We look forward to following Dr Astrov. Here is a clip of that Act III scene with Astrov (Laurence Olivier) and Elena (Rosemary Harris) in the 1943 film. Chekhov, a proto-environmentalist, is one of our playwrights revisited. Ashdenizen Wonderful blog by Robert Butler, on “green issues and the performing arts”.